Pi Day, the annual celebration of the otherwise inconsequential March 14 (i.e., 3/14), has become a makeshift holiday for the mathematical baked-good homonym. Rounded off, the ratio pi equates to about 3.14. 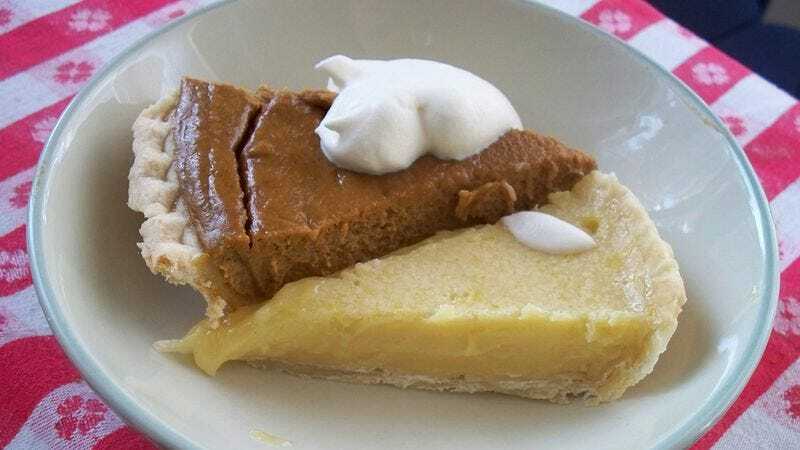 Since it serves as a cornerstone of both geometry and calculus, and though it’s been encountered by the vast majority of the world, it’s likely that few can explain in depth what this number does and why it allows them to eat pie guilt-free once a year. What makes the problem difficult is that circles are round. If they were made of straight lines, there’d be no issue. Finding the areas of triangles, squares and pentagons is easy. But curved shapes like circles are hard. The key to thinking mathematically about curved shapes is to pretend they’re made up of lots of little straight pieces. That’s not really true, but it works … as long as you take it to the limit and imagine infinitely many pieces, each infinitesimally small. That’s the crucial idea behind all of calculus. Order a pie for your office and then try to cut it into an infinite number of slices. Your coworkers will applaud your attempt, and you’ll be covered in the sticky, mathematical goodness of whipped cream all day. After the entirety of the pie has been eaten, you can use pi to measure the distance your tongue traveled when you lapped up the remnant crust that’s remained along the tin’s rim, you filthy glutton.